Infectious diseases are transmitted from person to person by direct or indirect contact. Certain types of viruses, bacteria, parasites, and fungi can all cause infectious disease. Malaria, measles, and respiratory illnesses are examples of infectious diseases. 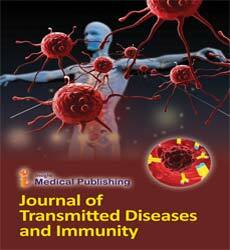 Infectious diseases are commonly transmitted through direct person-to-person contact. Transmission occurs when an infected person touches or exchanges body fluids with someone else. This can happen before an infected person is aware of the illness. Sexually transmitted diseases (STDs) can be transmitted this way. Pregnant women can also transmit infectious diseases to their unborn children via the placenta. Some STDs, including gonorrhea, can be passed from mother to baby during childbirth. The spray of droplets during coughing and sneezing can spread an infectious disease. You can even infect another person through droplets created when you speak. Since droplets fall to the ground within a few feet, this type of transmission requires close proximity.